Makgadikgadi Pans National Park, Botswana. 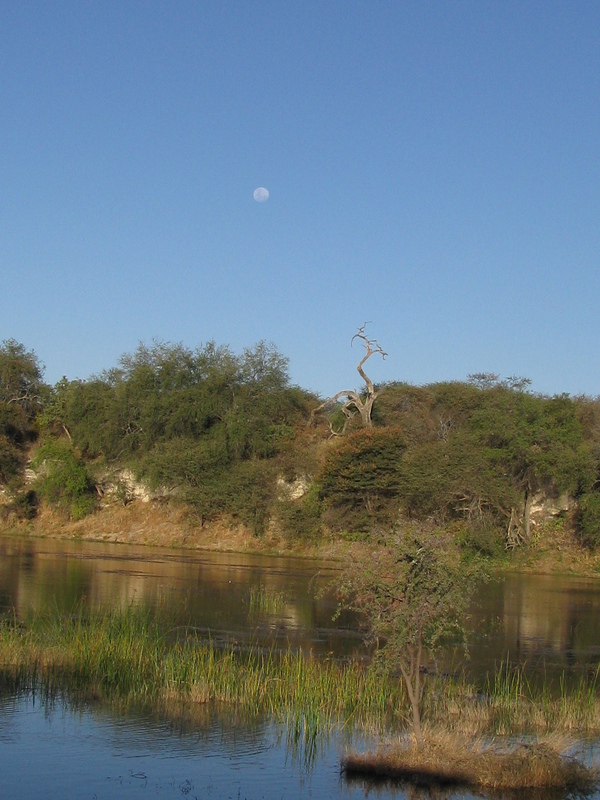 This area is southeast of the Okavango Delta is it is surrounded by the Kalahari Desert. This entry was posted in Africa, Travel, Travel Photos and tagged Africa, Botswana, Kalahari Desert, Makgadikgadi Pans National Park, Nature, Okavango Delta, Photography, Photos, Travel Blog, Travel Journal, Travel Photo. Bookmark the permalink. Thats a surprise, not as I expected at all – I thought the Pans were some sort of dry beds, but maybe this is rainy season? This was after the rainy season, but once we crossed that river in a canoe you really notice how dry it is. I’ll look for some tomorrow…hopefully I will post one by the end of the week. Thanks Robyn. It is nice to meet you! I didn’t know they were making the book series into a TV series. I haven’t read it, but people have suggested it for me to read. I’ll have to check out the series. I found those trees fascinating. wow.. really nice. love the “moon” too! I was surprised that the moon was so visible in the afternoon. I like the dead tree looking lke an accusing finger! Thanks Kristina…I was happy that all of it showed up on the camera. love the twisty tree with the day time moon! Thanks Novroz…those are my favorite parts of the photo. Stark, somewhat barren… yet beautiful. Once you get behind that treeline along the water you can see just how barren. That is what prompted this photo. Interesting! What time was this photo taken? It was taken in the afternoon. I don’t remember the exact hour, but my best guess would be between 2-4pm.